Hey crafty friends! 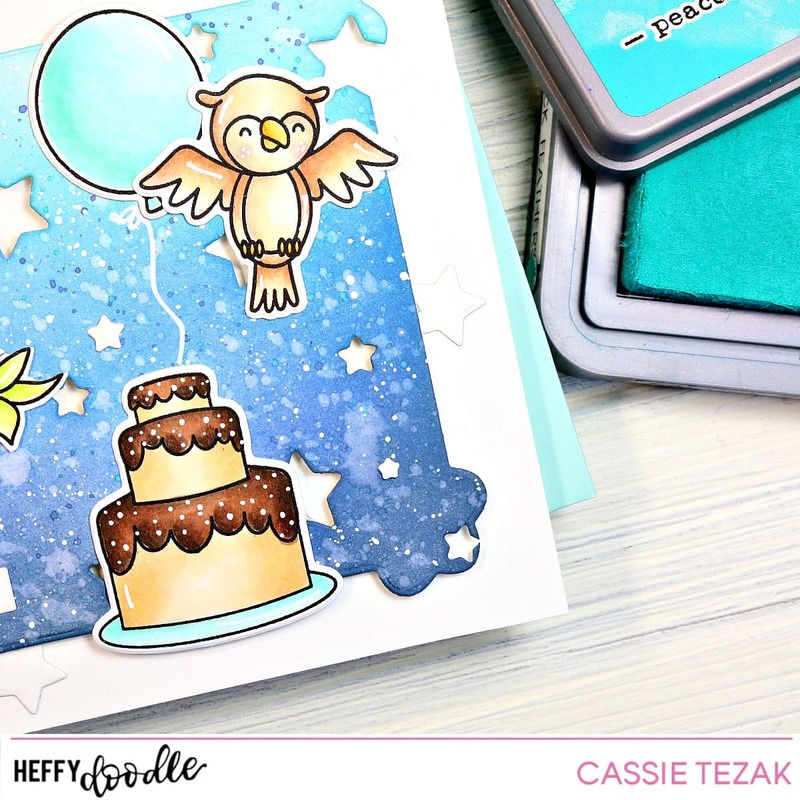 It’s a fun day today because we’re celebrating the November release for Your Next Stamp with a blog hop 🙂 That’s always a good time! There are coupon codes and prizes to be one, so make sure you read all the details! Today I’m sharing two projects I made using the new release, and I know I say this every month, but these are seriously the cutest products yet! I used some of my favorite products from the new release on this card. The Winter Unicorns Rock are such a fun set. There are so many little unicorns that can be used in a lot of different scenes. I also love the Panel Shapes Die set. This set has dies that cut out a shape and leave a stitched border. I love these and think there is so much you could do with them! For this card I created little windows for the unicorns to be seen from. I just love the stitched detail for these. Another favorite product of mine this month was the Christmas Wrapping Paper stamp set. This features a large stamp with what looks like a wrapping paper pattern. I knew I wanted to heat emboss this fun stamp as soon as I saw it! I heat embossed it over vellum and created a flat shaker card with some large flat glitter and a Distress Oxide background. I pulled some stamps from the cute Sweet and Fun Holiday set to finish the card. I love those little images within the pattern! I think this is another great, versatile product. If you didn’t catch my card from yesterday’s sneak preview here it is as well! Another sweet stamp set with adorable images! I am a sucker for those cutesie stamp sets! If you’re hoping to pick up new products from the release be sure to use the coupon code below! Also, if you want to enter your name for a chance to win the $25 gift certificate from Your Next Stamp be sure to comment on as many of the blogs in the hop! See all of the participants by clicking the blue box below. The winner will be announced on the Your Next Stamp blog on October 16! And that’s it for my part of the hop! I hope you enjoyed my projects. There are a lot of more fun projects to be seen, so don’t stop here! Thanks so much for stopping by, and I’ll see you again soon with another card! Hi, all! Happy Friday! I hope you’re all having as warm and summery weather as I am today. It’s a bit humid, but I know I’ll be missing it when it gets cold again 🙂 Today I’m back to share a card for the Your Next Stamp Challenge #93. Today I went with the sketch challenge to work with. I’ve been wanting to use the Window Panel Die, and this was the perfect excuse! I layered the Snow Fall Panel die and the Window Panel die to create a starry background for my penguin fortune teller. Then I stamped out images from the Waddles Fortune Teller stamps. I colored them in with my Copic markers and die cut them with the coordinating dies. I popped the penguin and his table up with foam tape onto the Window panel die. To finish the card I heat embossed the sentiment onto the bottom window with white embossing powder and adhered it straight to the card base. And that’s it for my card today! I hope you enjoyed it. There’s a lot of great projects on the Your Next Stamp blog, and you can play along with us! Be sure to head over and get all the details. Have a great weekend, and I’ll be back soon with another card!